We are pleased to announce our upcoming workshops for this spring. These workshops will provide you with the information necessary to start saving seed this year. We will cover choosing which varieties to save, considerations for avoiding cross-pollination, choosing which plants to select, and the practical aspects of saving seed from your plants. Growers and gardeners with no previous experience are welcome. 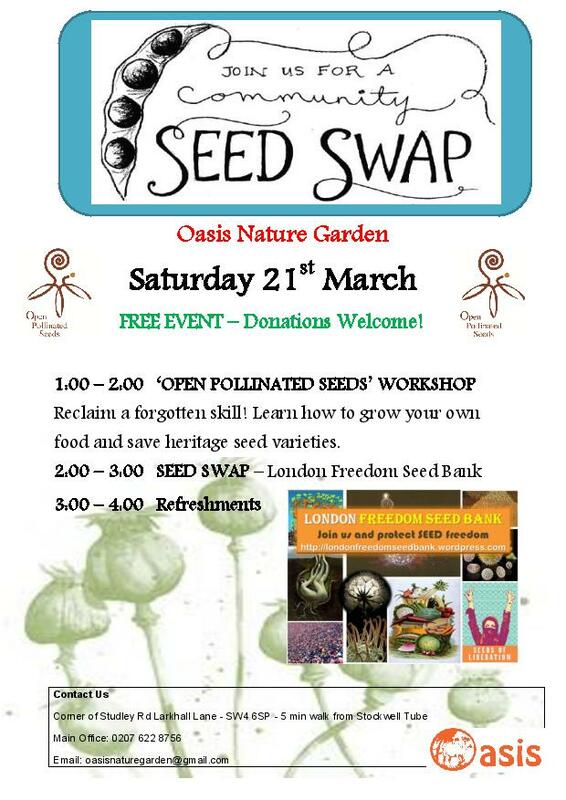 All workshops are FREE, and we will be distributing seed from the London Freedom Seed Bank at the end of the trainings to those who can commit to donate some of the seed back to the bank at the end of the growing season. This enables us to continue the cycle of redistribution next year. The first two events in March are in collaboration with Oasis Nature Garden and Glengall Wharf Garden and do not require booking. 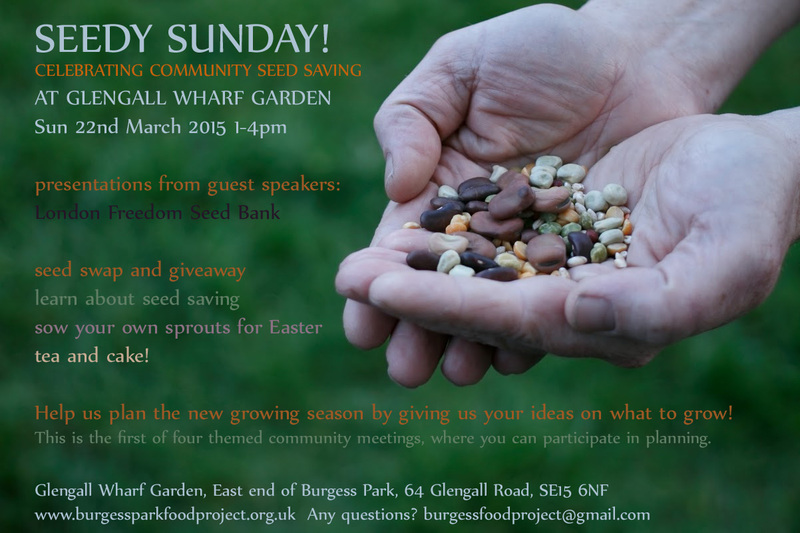 For the April workshops we ask that you email us at freedomseedbank@gmail.com to book a place. We would love to see you again if you have been on previous trainings at the London Freedom Seed Bank, especially if you have donated seed to the bank. If you are be interested in building on your current experience we would encourage you to attend the training on Saturday 25th April at Regent’s Park Allotment with Peter Brinch of Open Pollinated Seeds. Venue: The Regent’s Park allotment garden is located in the middle of Regent’s Park itself, at the Corner of Chester Road and the Inner Circle, next to the park’s office. If using a GPS use the postcode NW1 4NR. We look forward to seeing you! Please email us if you have any questions.